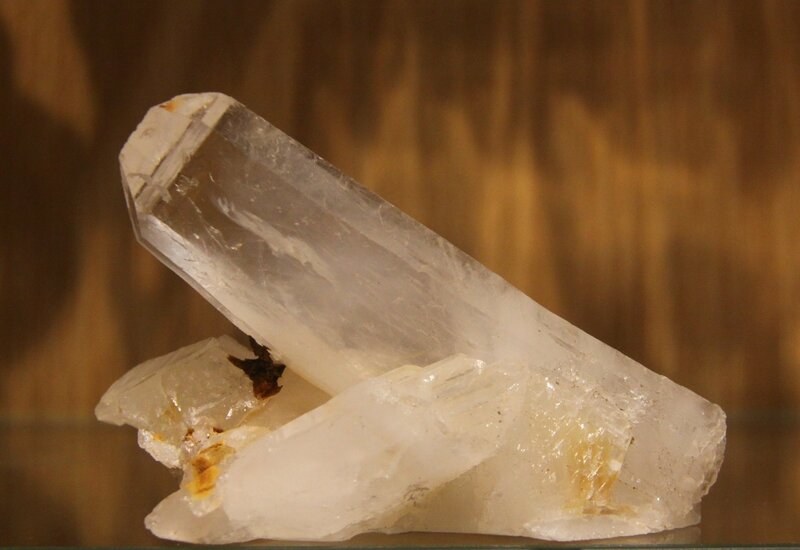 Quartz - San Cristobal, Colombia - 86mm x 60mm x 35mm. Main crystal size: 93mm x 26mm x 11mm. Dimensions: 86mm x 60mm x 35mm. Main crystal size: 93mm x 26mm x 11mm. Description: Large crystal showing like a sword. It has two very wide parallel faces, and a pearly interior that is not quite clear at the base. The clarity is increasing to the top, where we see an interesting curvy sculpture of milky smoke. With some Goethite in the corner. Perfectly cut to look inclined.